We live in polar vortex’d times. Ice caves on the lakes. Droughts in the west. Just ask the eggheads: the weather’s gone to Bananatown. 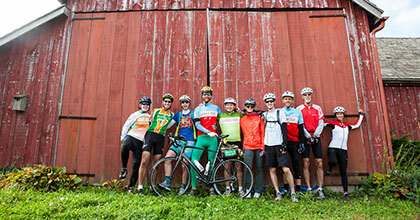 Let’s try and help out, shall we, with Climate Ride: a first ever Midwest cycling tour, departing for Chicago from Grand Rapids this September, and now open for registration. This is the heartland like you’ve never experienced: a veritable green confab on wheels, with all proceeds benefiting enviro non-profits. Over four days, you’ll crank across Lake Michigan culverts (with pit stops at watering halls like Journeyman Distillery and Paw Paw Brewery), then kick your feet up each night at eco-friendly lodgings (see a detailed itinerary here). You don’t have to be a pro cyclist, but this isn’t a leisurely jaunt along the lakefront, either. 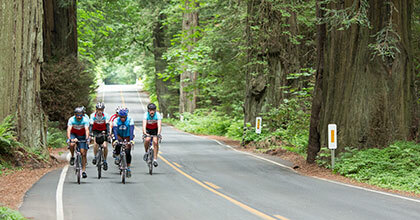 We’re talking up to 80 miles per day. After putting up a registration fee, you choose the beneficiary. Climate Ride can help you canvas for Chi-based organizations, and offers full support in reaching your fundraising goal. The ride isn’t until September, which gives you ample time to fundraise, and perhaps more importantly, train for the adventure ahead.